Divorce: is it time to stop the blame game? There has been a considerable amount of publicity recently in the national press regarding contested divorces. In the recently decided case of Owens v Owens, Mrs Tini Owens issued divorce proceedings against her husband Mr Hugh Owens on the grounds of his unreasonable behaviour. Mr Owens defended the divorce. Following a contested hearing the Judge refused to grant Mrs Owens a decree of divorce on the grounds of Mr Owens’ unreasonable behaviour. The case was then appealed several times and eventually the highest court in the country, the Supreme Court, decided against Mrs Owens, upholding the lower Court’s decision to refuse her a divorce. To the surprise and indeed consternation of many, Mr and Mrs Owens therefore remain married. A divorce can only be granted if the marriage has “irretrievably broken down” but the Petitioner then has to find one of the five ‘facts’ namely: unreasonable behaviour, adultery, two years desertion, two years separation by consent or five years separation. In the Owens’ case, Mrs Owens based her petition on Mr Owens alleged unreasonable behaviour. The term ‘unreasonable behaviour’ is used widely as legal shorthand in divorce, but what the Owens’ decision has again highlighted is that it is incorrect to do so. It is not someone’s behaviour which must be unreasonable but the expectation that the other party to the marriage can continue to live with them. In other words, the behaviour itself does not have to be the reason the marriage has broken down. Instead it has to be the reason why the petitioner can “no longer reasonably be expected to live with the respondent“. Of course, the reality is that these legal semantics currently keeps an understandably very unhappy Mrs Owens locked into a marriage which, to all intents and purposes, has of course “irretrievably broken down“. In practice it is very rare for divorces to be defended, principally as a result of the cost. In the 35 years that I have been practising Family Law, I have only encountered ten defended divorces. These all had unusual facts and none of these cases proceeded to a final contested hearing. At an initial hearing at which the Court considers what further evidence is to be provided, many Judges attempt to persuade Respondents not to proceed with defended divorces. In the words of one Judge I encountered: “what is the point of remaining married to someone who does not wish to be married to you?”. From the point of view of cost, an important consideration is that unlike the majority of family proceedings where each party pays their own legal costs, in defended divorces costs can be awarded against a party. Although the case of Owens v Owens has attracted considerable publicity, in many cases the stark reality is that the cost is too great to defend a divorce and whilst many Respondents feel aggrieved about the allegations of unreasonable behaviour, many come to realise that it is preferable for them to focus on what is inevitably the bigger picture, children and financial issues. 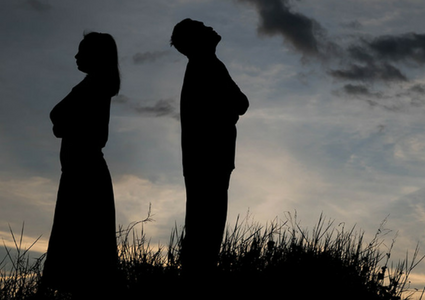 Although some are fearful that reform will result in ‘divorce on demand’, for many years there has been an increasing push towards removing ‘blame’ from divorce. Indeed, the Owens’ case has only served to fuel the desire for change. Following much lobbying by Resolution (formerly known as the Solicitors Family Law Association), the government has announced recently that they will be reviewing the law regarding grounds for divorce with a view to bringing in legislation to introduce ‘no fault divorce’. This would prevent spouses who are mutually seeking to end their marriage, but have not yet been separated for a full two years, from assigning blame and making damaging allegations. It is anticipated however that such legislation will not be enacted for several years. In the meantime Mrs Owens will have to wait until she has been separated from Mr Owens for five years before being able to issue fresh divorce proceedings, unless in the meantime Parliament legislates for change. Trowbridge Family Lawyer, Annette Taylor, is a member of Resolution and follows their Code of Practice that promotes a constructive approach to family issues and considers the needs of the whole family and in particular the best interests of children. If you would like to discuss, in complete confidence, any issues regarding family breakdown, whether it be divorce, a cohabitation dispute, disputes over children or money matters, then please contact Annette on 01225 755 656 or email her at annette.taylor@blbsolicitors.co.uk. What happens if I lose mental capacity and haven’t made a Lasting Power of Attorney?